Few days ago I need to recharge my mobile but when I went to recharge retailer shop. The shop was closed but I badly needed to talk someone. 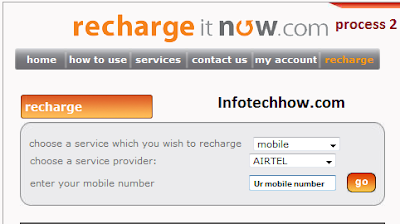 So I searched online and found some sites which gives us facility to recharge our mobile Online. 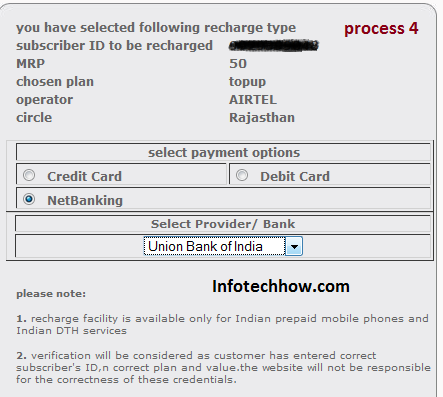 How can I recharge my mobile number online? You just need to visit any of the below websites and have to register there. After that sign in and select your telecom network and put your mobile number in the box. After follow previous step payment option comes. Internet banking facility on your account number. Next select your payment option and pay via it. After payment your recharge balance deduct from your account balance and an sms alert Will come onto mobile clarifying that recharge is successfully done on your mobile number. 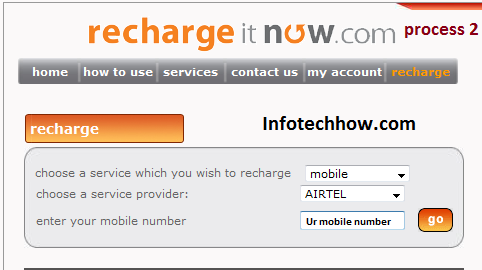 Process I--> Go to rechargeitnow homepage and select your telecom. Process II--> Now enter your mobile number in the given box. 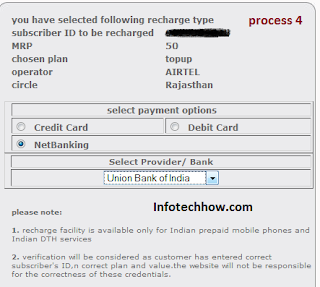 Process iIII--> Enter recharge amount . assistance feel free to comment on below box.